Some 120 traffic wardens in Camden, north London, started five days of strike action today in a bid for improved pay. 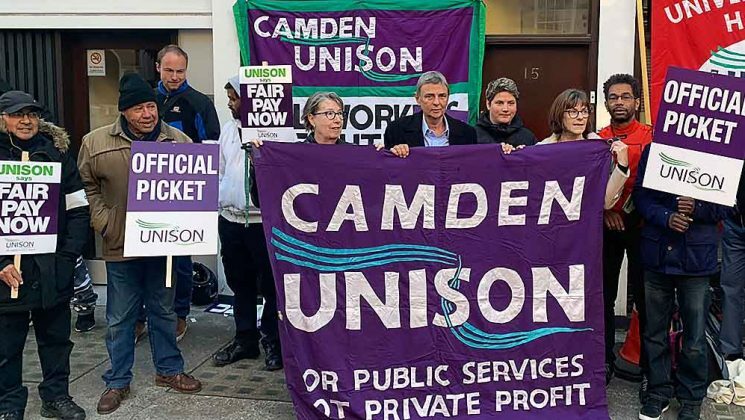 The UNISON members – technically known as civil enforcement officers – are employed by a private company, NSL, on a contract from Camden council. 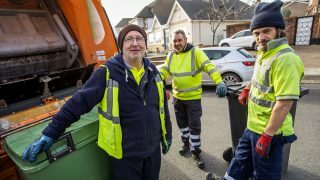 They are currently paid £10 an hour, below the London living wage of £10.20 an hour. 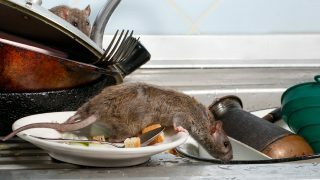 They are taking action – for the third time since 2011 – in pursuit of a claim for a wage pf £11.15 an hour. Last year, Camden council received a £26m “surplus” from parking tickets, which helps fund transport projects. 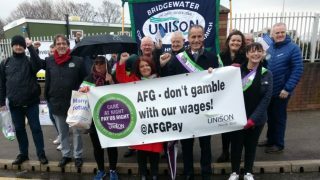 The UNISON members were joined on the picket line this morning by general secretary Dave Prentis. 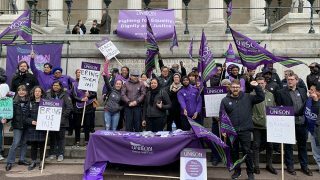 “These UNISON members are demanding that NSL pay them a decent wage,” said Mr Prentis. Union president Gordon McKay will by showing his solidarity with the pickets on Friday.